It is not the first time we heard of Crumbs when we bought macarons from them. 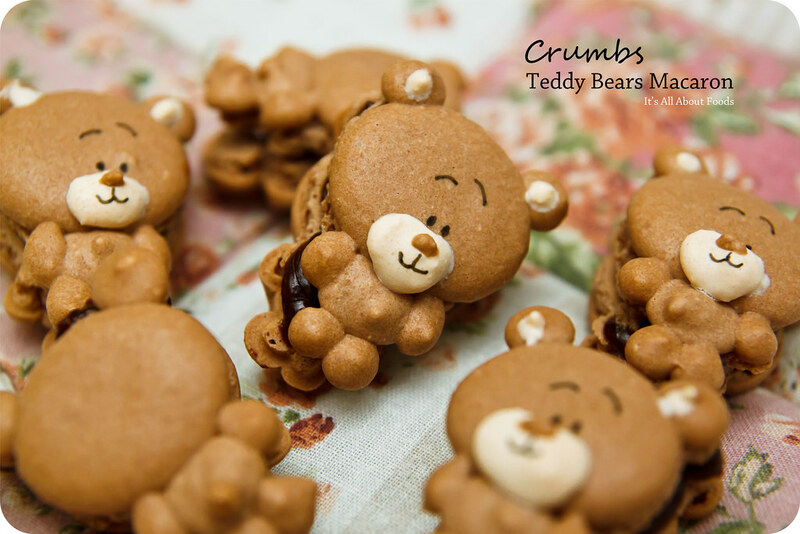 Crumbs is a home-based pastry house specialized in macarons, cupcakes, eclair, tartlets and cakes. They provides customized pastries of various designs to suits your special event and occasions. All their pastries are freshly baked-to-order,so freshness is guaranteed. We have been following their Facebook fan page regularly, and their macaroons that come more than just traditionally round shape caught our attention. There are turtles, Hello Kitty, ducks, Teddy Bears, Little Miss Sunshine, Mr Happy, Mr Bump, Doraemon and many more. When we saw in their Facebook saying that there are remaining macarons from a bazaar last week, we fight the traffic during evening time to Mutiara Damansara and picked up six cute Teddy Bears from Crumbs. All of them were so cute, adorable, and popping these creations into the mouth was such a guilt. The macaron’s had a crispy outer shell with soft inner shell, but for the chocolate ganache, there was still room for improvement. 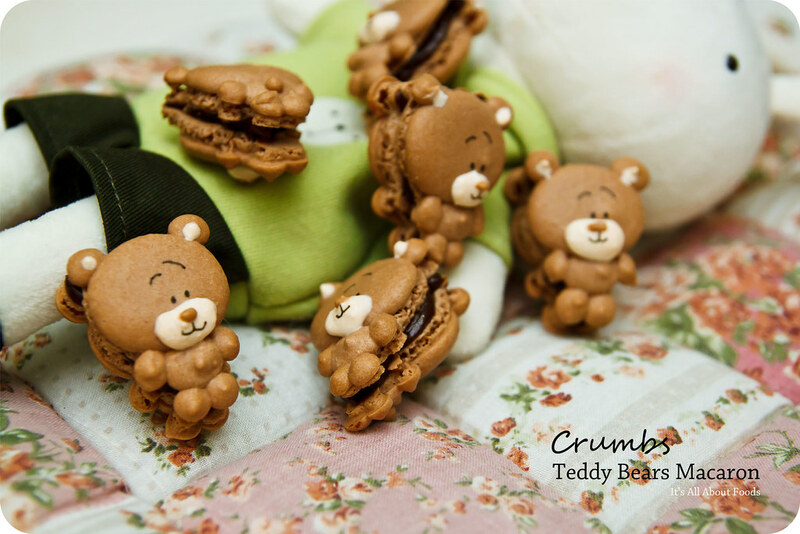 However, we gave big applause to the creativity and sincereness, for the very small little features such as the tail of the bear was also highlighted in the macarons. Since Crumbs is home-based, there are no retails shop for them so all orders for their sweet treats can be done by email or message through Facebook. All orders can be picked up at Mutiara Damansara, G-Tower (9.30am-4.30pm on weekdays), or through door-to-door delivery at certain locations (with T&C). For more detailed information and updates, do visit their Facebook page or email them at crumbs.my@gmail.com. Do check them out! They are well suit as gifts during special occasions to surprise your love ones! Alamak so cute! how lah to eat them?? !